Every month, we highlight marketing blogs taking the craft to the next level. And this month, we have a brand new batch of blogs for you to check out. 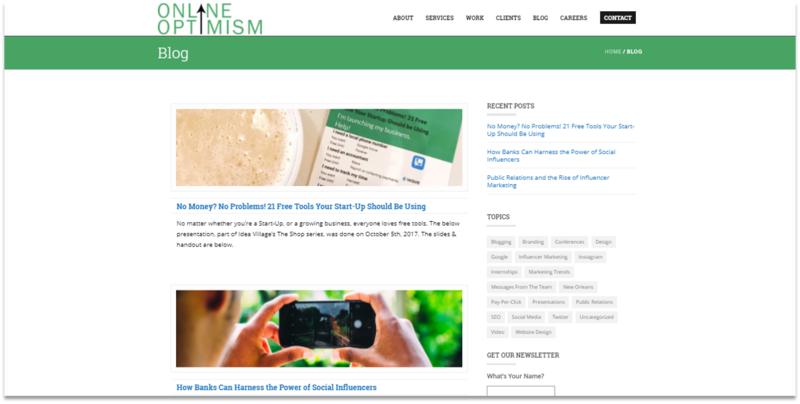 And one of our go-to marketing blogs taking advantage of this concept is Online Optimism. With over 5 content contributors all sharing knowledge and insights, you can expect a diverse range of content all focusing on what we love most – marketing. Pagezii Pro Tip: To diversify your content, ask other members of your team to share knowledge and insights. From there, your content team can transform their knowledge into a polished piece for the corporate blog. As a content marketer, I know it’s important to publish fresh content for our communities. It’s this type of high post frequency that keeps visitors coming back. 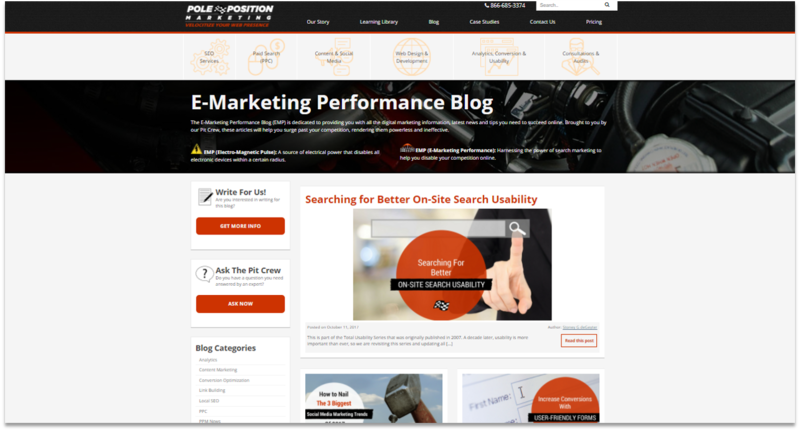 And one blog that’s off to the races with high post frequency is Pole Position’s EMP blog. With multiple new posts published each week, the EMP blog has fresh content ready for new and returning visitors alike. Pagezii Pro Tip: When it comes to post frequency, try to have at least one – two new posts published every week. You can do this easily by focusing on niche topics. Because highly specific topics don’t need to be thousands of words long. Your blog should educate readers. Because education builds trust. Tap into this concept through your writing. 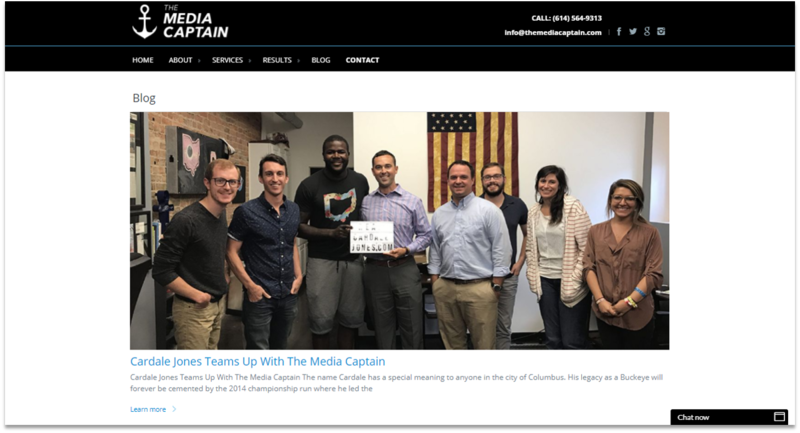 Just look at the Media Captain blog for guidance. Their instructor style content is the perfect blend of content complexity and reading ease to educate readers. Pagezii Pro Tip: Fine tune your blog’s writing style using Pagezii’s Reader Profiles. Reader Profiles categorize writing style based on reading ease and content complexity, helping you tailor your writing for specific readers. When it comes to visitor retention, you can bet visitors are spending that time on your blog. And it makes complete sense – because it’s a source of new content where visitors can continue to learn. And this makes an aesthetic blog design critical. Need some direction? Just have a look at the Etain blog. Their use of white space and a simple blog interface lowers cognitive load, helping readers digest content. 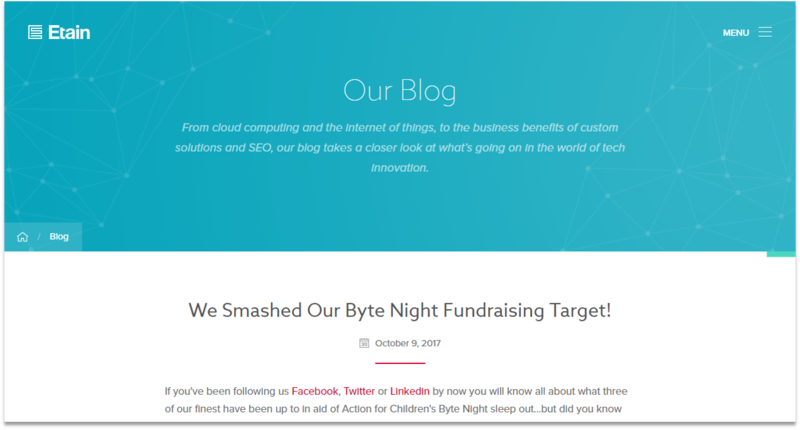 Pagezii Pro Tip: A corporate blog design should be simple and airy. By decluttering content, you’re making it easier for visitors to browse your range of content without getting overwhelmed. 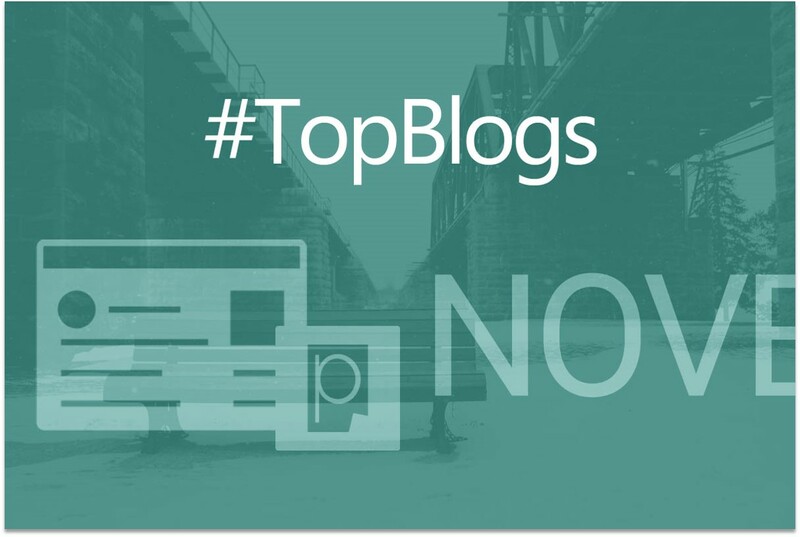 That’s all for this month’s edition of our top blog roundup – make sure to check back next month to see if your blog was featured! And don’t forget to analyze your own content performance with Pagezii’s Blog Analysis Tools. Give our Blog Analyzer Tool a test-drive and understand your blog’s performance in seconds.